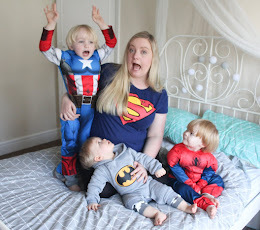 With the weather so very hot right now, I have to admit - I have been struggling to find the motivation to make dinner most evenings and as a result we have had more than our fair share of Ham Sandwhiches and Beans on Toast for tea! But since it looks like the heat isn't going away any time soon, I thought it was time to find some better solutions to this problem. 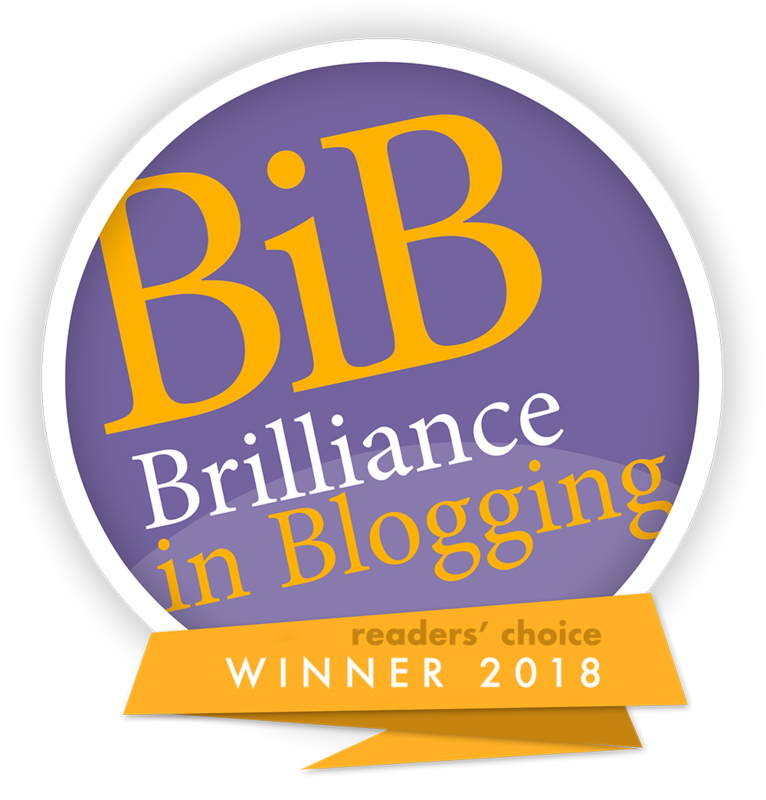 I decided to dig out my much loved slow cooker - something I use almost daily in the winter months when all we want is warming stews and hearty soups - but that never usually sees the light of day in Summer! It seemed the perfect solution as rather than standing over a hot cooker for hours, I can simply prep a meal in the cool of the evening and it's all ready for us the next day when dinner time rolls around - but of course nobody wants to eat stews and soups in this weather, so my problem was - what could we use the slow cooker for that was still light enough for summer dinners? This week we've been trying out Hellmanns Tomato Ketchup Sweetened With Honey - research has shown that many people in todays health conscious society are concerned that ketchups are highly artificial and contain a lot of sugar, so Hellmanns have created this brand new sauce using natural ingredients and sustainably sourced tomatoes. It contains 36% more tomatoes AND 30% less sugar than the leading brand - something I'd certainly feel much happier giving to my children! 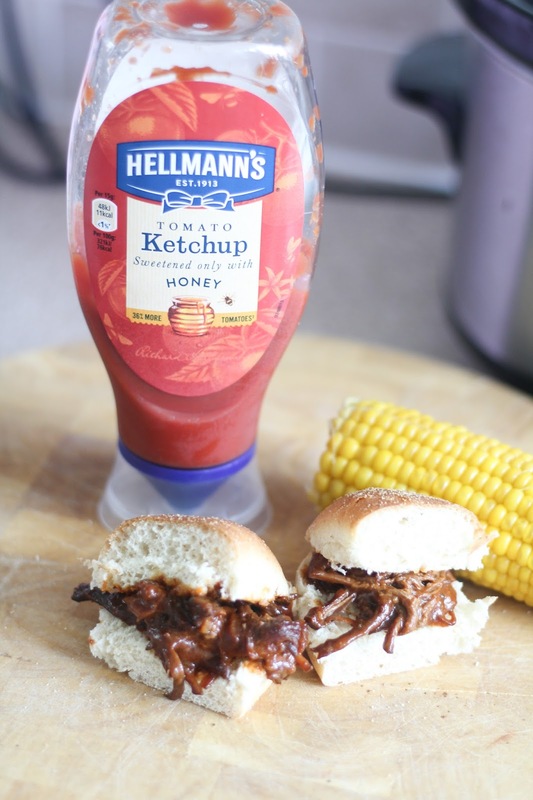 We were challenged to come up with a delicious recipe using Hellmanns Tomato Ketchup Sweetened With Honey and we went with something that all of us are big fans of - BBQ Sliders! 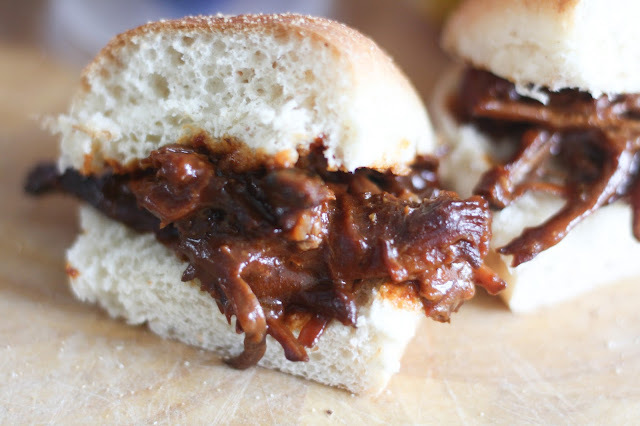 We usually use the slow cooker to make BBQ pulled pork which we have with coleslaw and wholemeal buns, but for this I decided to use some mini submarine rolls and create sliders using beef instead. The recipe is so straightforward, and the end result is so very tasty! Served with some side salad and corn on the cob they are the perfect light bite for a summers evening....a meal that both the adults and children alike will enjoy! In a small bowl add the ketchup, brown sugar, barbecue sauce, worcestershire sauce, mustard and seasoning and stir to combine. Cut the brisket in half and place in slow cooker. Pour sauce over, cover and cook on low heat for 8-10 hours. Remove meat and allow to cool a little, skim fat from the sauce. Shred the beef using a fork, and place into submarine rolls - and serve! Hellmanns Tomato Ketchup Sweetened With Honey is currently available in Tesco and other leading retailers priced at £1.89. Awesome work and tutorial. It seems the delicious one food to try it. So I would like to try to make it at my home.